With success comes growth and with growth comes a need for more employees and space for those employees to work. While it can be challenging to know just how fast your company may grow, an estimate is necessary for you to understand your needs and for you to have an adequate amount of space to accommodate that growth. Check out these tips to find that sweet spot of room for expansion while also being realistic about what are those needs. Every business has different needs when it comes to space, so there isn’t a magic formula to guide you to an exact number of square footage, but you can make an educated estimate. Each employee you have on staff will require approximately 220 square feet in office spaces that aren’t open concept. So for example, if you have 100 employees on your team, you would need to account for 22,000 square feet in work space to accommodate them. 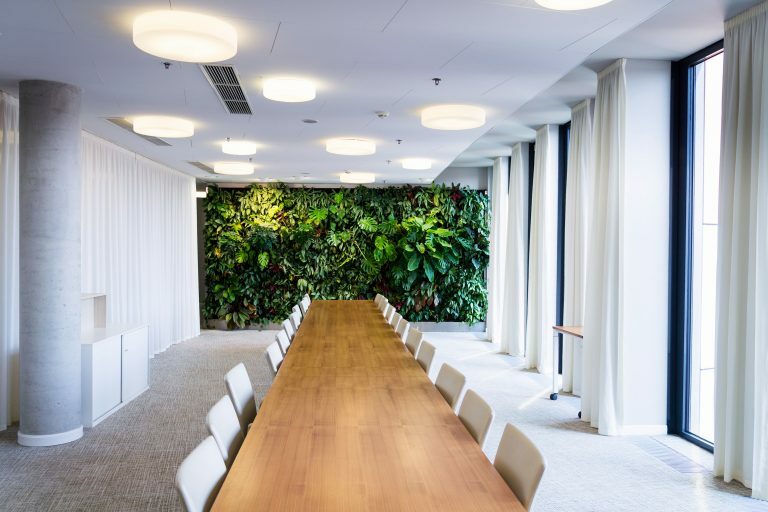 From there, you will also have to take into consideration other spaces such as conference rooms, lunch areas, restrooms, storage and any other additional rooms you need for your specific office layout. After you have an idea of how much space you need to accommodate your current workforce, multiply the total square footage by 10 to 20 percent depending on how much growth your business projects. This additional space for growth is known as shadow space. There are a few different ways you can go about ensuring you have adequate space to grow. As we mentioned above, you could rely on shadow space. This space is an unused buffer that will be filled as you add more employees to your team. But what happens to the space in the meantime? More often than not, businesses are paying for the space even when it’s not being utilized. This option is great for short-term growth, but if your plans to expand don’t move as quickly as you hoped, you could be paying for more space than you need. On the other hand, you can work with your broker to include a right of first refusal agreement in your lease. Here’s what that means. Say you come across an office space that fits your current space needs, and there is also an additional adjacent space that would be perfect for you to grow into when the time comes. A right of first refusal agreement ensures that before your landlord leases that space to a third party, they must offer the space to you first. This option is great for companies that plan on growing, but need a little more time to achieve their goals. An important step in ensuring your new office location has the perfect amount of space is to analyze how your business has grown in the past and how you predict it will continue to grow in the future. From there you can formulate a realistic idea of how much additional space you may need, and decide if either shadow space or a right of first refusal agreement are viable options for you. Where you work matters. That’s why we’ve partnered with an online software platform to make it easy to search for spaces that are specific to your needs. All you need to do is enter your information here, and you will be given access to a database of office space listings complete with virtual tours, floor plans and all-in monthly prices. Finding the space of your dreams is only a click away.